Bathroom: With shower over bath, and toilet.. Electric central heating, electricity, bed linen, towels and Wi-Fi included. Welcome pack.. Enclosed paved and gravelled garden with sitting-out area and garden furniture. 30-acre natural grounds with woodland. Stabling and grazing for horses (at cost). Bike store. Private parking for 2 cars. No smoking.. Lark Rise has been refurbished in 2018 and is in the wing of Merry Hall in the beautiful Village of Boltby in the North York Moors National Park. 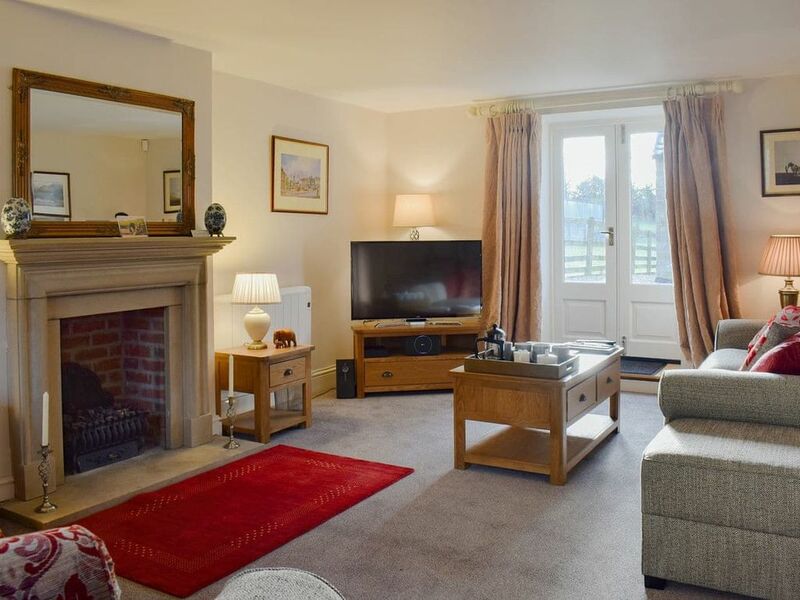 With two large bedrooms, both with hairdryers, a family bathroom, a modern kitchen and a large living room with a flame-effect fire, it is perfect for relaxing in front of after a day out exploring. There is a sitting-out area accessed via the living room and the property boasts over 30 acres of land where your furry friends can run free down to the stream at the end of the land with a sitting area. Perfect for a picnic without leaving your holiday home! There’s even a stable attached if you would like to bring your horse on holiday, available by prior arrangement with the owner. There is a bike storage area and power shower for washing your bikes off after riding one of the many cycle routes. The owners have thought of everything and even have a warm shower to rinse your dog off! Its not just the dog lovers and cyclists that are in for a treat, the village hall is open to walkers making this a popular route but you’ll also be spoilt by the number of options including The Cleveland Way, The Paradise Loop, The Sutton Bank Visitors Centre, and a myriad of routes across the National Park.